Alpine is bringing the Premiere Edition to combat the 718. They will only be producing 1955 cars apparently however. It'll be mid-engined, 1.8L Turbo 4 banger that produces approximately 250bhp. Said to be 660lbs lighter than the 718 which is definitely a large amount. 0-62 in 4.5 seconds. RHD deliveries should start around the beginning of 2018. 660 lbs is a lot of weight. Wonder where it comes from. You're not going to get that weight reduction by using more expensive, hi tech materials at this price point, IMO. Weight saving was one of the core principles when designing the car and was a key factor in just about every choice made. Hence the all-aluminium construction, passive suspension, one gear box choice, light weight one-piece seats with no 18 way motorised adjustment etc. This would also be one of the reasons the 718 has a 'better interior'. The Chief Designer, David Twohig said “The biggest battle for the past five years has been weight management. It’s so easy to say ‘let add 300 grammes here or there’, but then you get into a vicious spiral, where you need bigger brakes, stiffer springs, and then the car gets heavier and all of a sudden a 1.8-litre engine is not enough". I've seen one live at Monte Carlo. 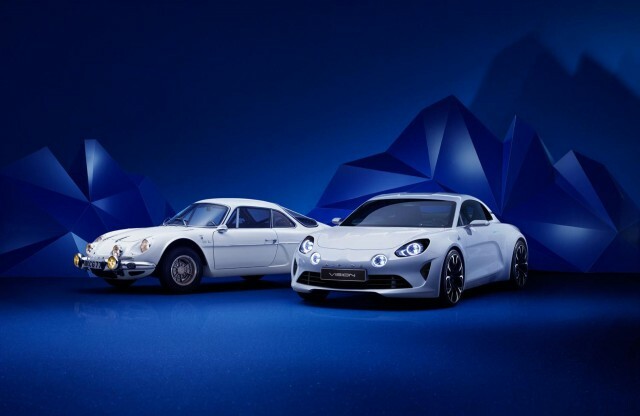 If I had to chose between a Lotus Elise or an Alfa 4C, I would have preferred the Alpine. Are you sure you are Italian sir? Whereas the original was pretty, I can't really say I'm a huge fan of its looks & in the U.K the Premiere Edition apparently has a price tag of £51,805. If that's correct (& I'm just going by car mags for my info), then I personally think it's way too expensive. To put it into some perspective, the current U.K basic price of a 718 Cayman is £44,074 & even the Cayman S is only £53,030. There's no way I'd choose that over a 718, though some would clearly disagree, as by all accounts it's already sold out. Last edited by Chilli; 02-19-2019 at 06:59 PM. They are allegedly a great drive, but I just find them plain ugly. And it always amuses me when folk berate those paying £50k for a 4 pot Porsche, and yet don’t even bat an eyelid at some paying the same price for a Renault. I know, it’s not a Renault, it’s an Alpine. But it’s built at their factory and uses their engine. Chilli and jt4006 like this.